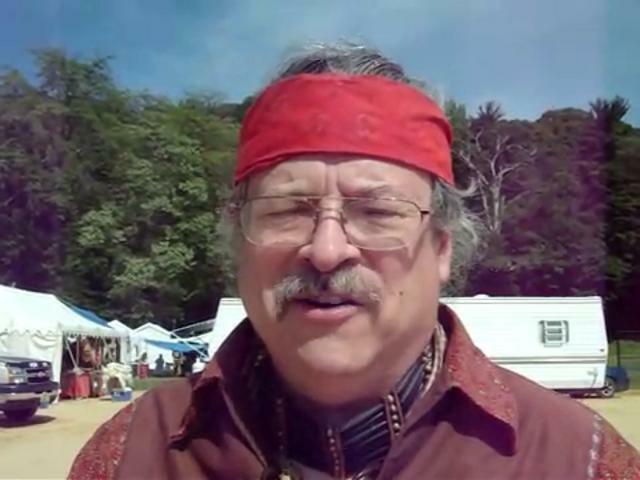 Evan Pritchard, a descendant of the Micmac people (part of the Algonquin nations) is the founder of The Center for Algonquin Culture, and is currently Professor of Native American history at Marist College in Poughkeepsie, New York, where he also teaches ethics and philosophy. He is the author of Native New Yorkers, The Legacy of the Algonquin People of New York. Professor Pritchard has given “Native New Yorker” walking tours of lower Manhattan for the Smithsonian Institute, The Open Center, South Street Seaport, and other institutions. He has recently shared his findings on Native American life in Manhattan on Leonard Lopate’s New York And Company show, on WBAI/ Pacifica Radio, ABC news, several NPR shows, New Dimensions, Maryknoll Productions and on other stations around the country. 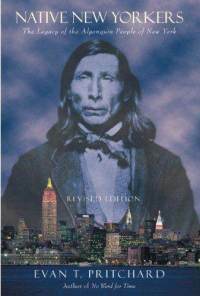 Native Peoples Magazine published a feature article on Native New Yorkers in the November/December 2002 issue, and a recent Village Voice cover article by Erik Baard was based, in part, on Pritchard’s book. In 2003 he premiered two historical monologues, one “The 11,000 Year Old Man” at The Deep Listening Space in Kingston, and another “The Last Sachem Out of Manhattan” at the Ryan Center near Times Square. Named Abachbahamedtch (or chipmunk) by Micmac people, he is assistant to several Algonquin elders. Pritchard’s newly released hardback, “Native New Yorkers, The Legacy of the Algonquin People of New York” promises to fill a huge gap in the publics general understanding of New Yorks history, and in the state public school system as well. Pritchards book “No Word For Time: The Way of the Algonquin People” lays a foundation for people of all nationalities to absorb the ancient wisdom of the Algonquin Indians through an understanding of the language. Since 1990, his work helping Algonquin elders and bringing their message to the media has helped thousands of people gain a better understanding of this great civilization and its teachings. He lectures frequently around the United States, sharing storytelling, traditional and contemporary songs, and bi-lingual poetry. His first lecture at The Open Center in New York City, September 17th, 1999, drew a standing room only crowd. The topic was the Algonquin history of the five boroughs, and Munsee Chief Mark Peters was one of several distinguished guests who shared the podium. He is currently taping a 24 part series for RFPI radio on The Algonquin Civilization. 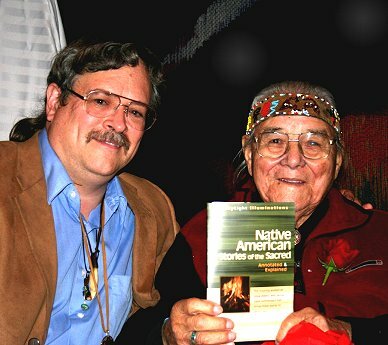 He was the organizer of the North American Friendship Circle gathering on Columbus Day, 1992. He is also the founder of the Red Willow Society, Resonance Communications, and Roads To Awareness Seminars. A Lenape Phrase Book is nearing completion, and Penobscot and Shinnecock language projects are being planned. All three languages are considered highly endangered. This entry was posted in Make No Bones Shows and tagged Algonquin People, Chief William Commanda, Evan Pritchard, Lenape, Micmac, Native New Yorker, Red Road. Bookmark the permalink.